Discussion in 'Sword Discussion' started by horseclover, Aug 7, 2018. Barring unforeseen wet weather, I will probably be displaying a couple of tables with both modern and antique blades. My display has shrunk, as has participation, so I have loaded out fewer swords. So far, it looks like I will concentrate on the cavalry and eagle pommel swords. I've not loaded out modern medieval or Japanese style stuff, nor the spears. The process has become a bit overwhelming when I do this solo. So, without further pomp or circumstance, an obligatory shot from last year. This will be the fifteenth year. I will not be there if it rains and I may be moving back to the field instead of under the trees. 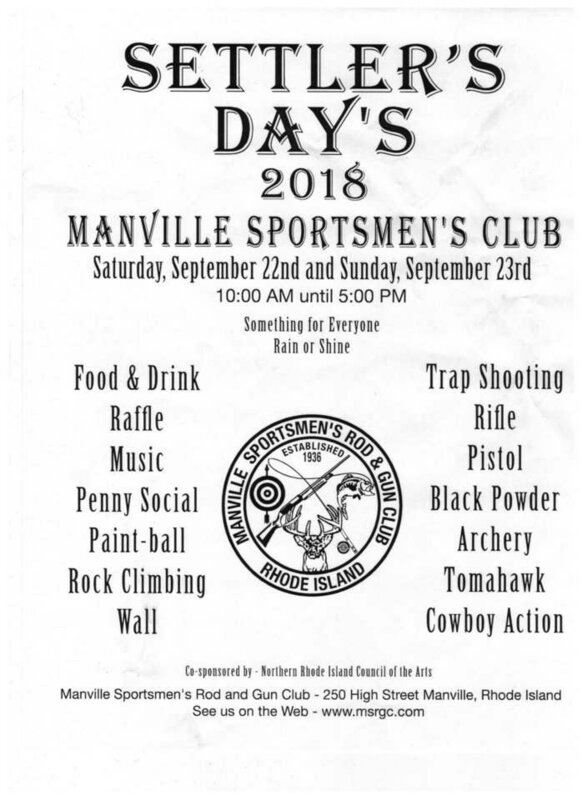 This is a family friendly event with a primary focus on the firearms ranges but there is archery and a hawk tossing station. Horseclover, what are those in the front? The ones with the rings on the pommels. 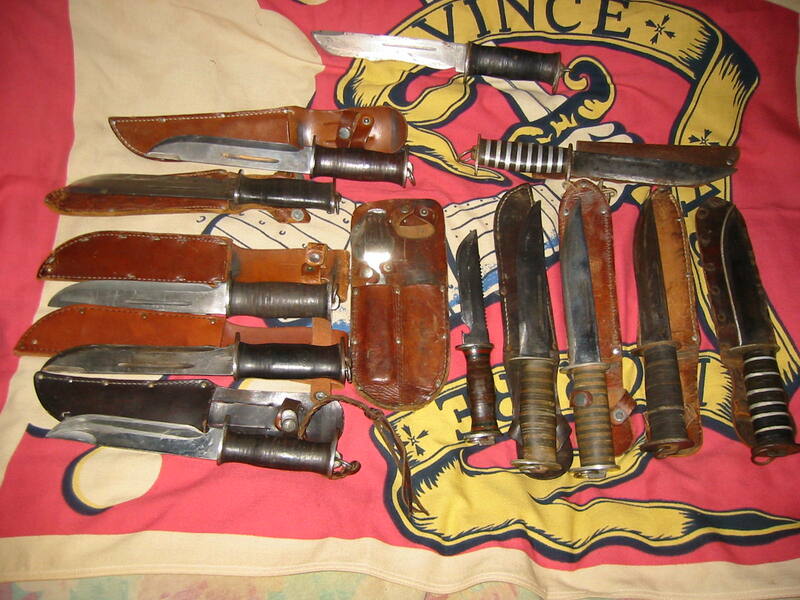 The knives up front are all EG Waterman knives of the WWII into the 1950s. They were common during the war. My dad had one while on the USS Dayton. There were several variations. When are too many not enough, right? So, that was my short load. Double that and add another dozen or so. Only 15 years.. No wonder I didn't get to go to it when I was in Newport from April to October 1986. I shot competitive archery several times at a range in Manville that summer. I'm not sure when they started doing Settler's Days but they were doing it previous to my invitation. Gone are the drum circles and camping native Americans, as well as the militia reenactors that used to camp out. There is a fairly large local turnout but there is a lot going on across NE those weekend days. 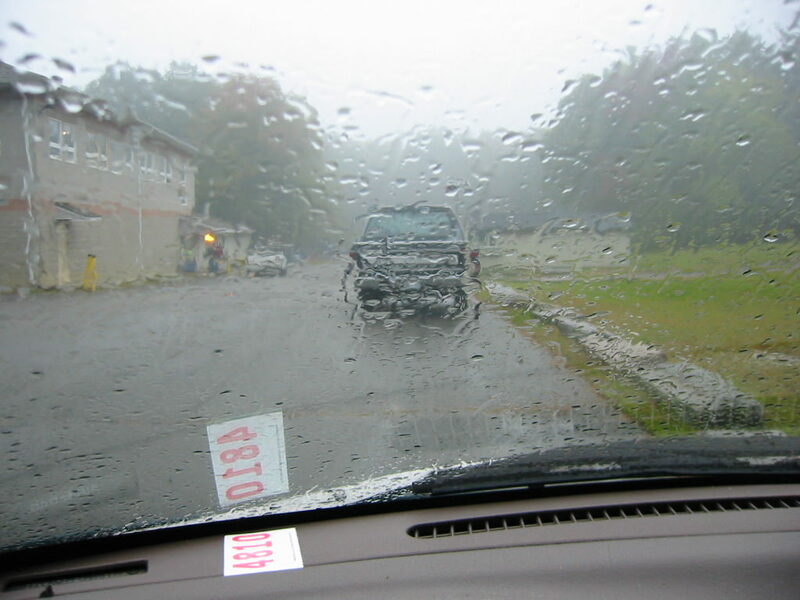 Still tentative and pending weather. My back is in really rough shape and I may scale down even further. While apparent in scans two decades ago, my thoracic pain has become greater than my L4-L5 issues. I will update a week before the event. Where else do you sell the swords? Do you have a website? I'm not a dealer but I have sold locally to friends and at this event. I'm really just out there to exhibit but have sold a few pieces off the table. Mostly knives and a few of the reproduction swords have gone. As far as the antiques, I would rather do lots of four or more, as I had collected a bit by genre. I don't want to turn this into an advertisement. Truth be told, I was picky in buying the antiques and love them all dearly. 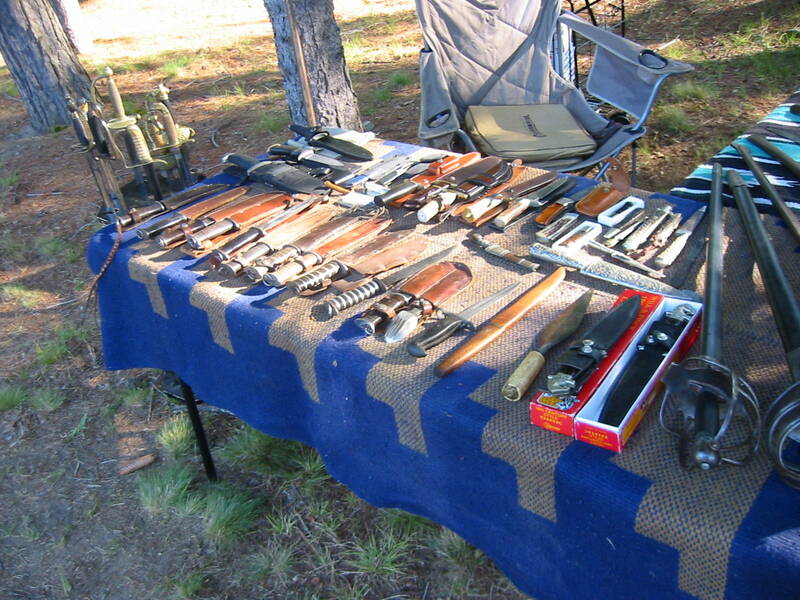 There are a few large national antique arms shows. 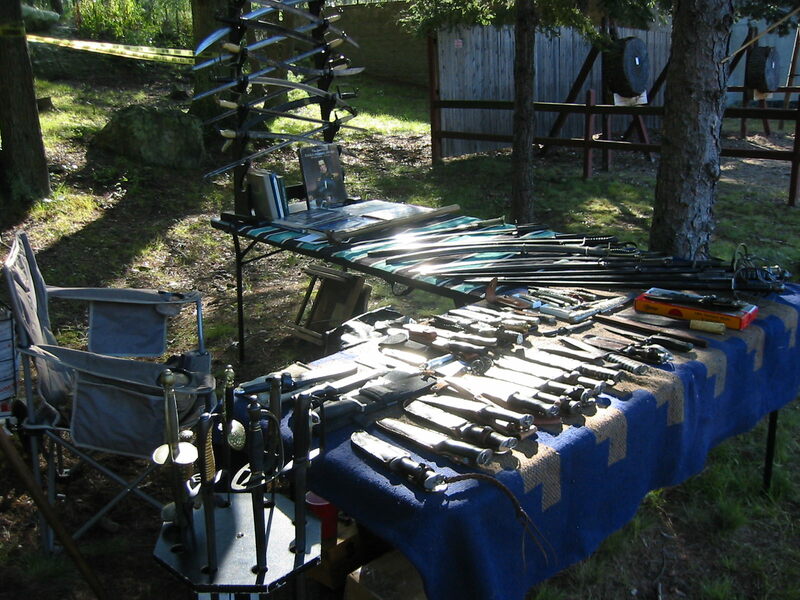 One in Vegas, Baltimore and Hartford CT to name a few but there are often local gun shows or edge club shows that incorporate some swords. 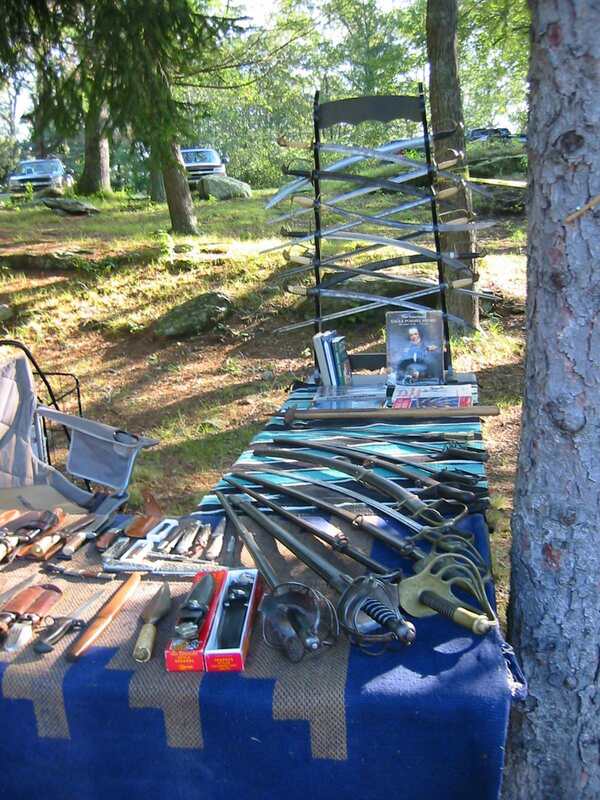 Check for local flea market sites that often run every weekend and find the guy with the militaria. Sporting/gun stores will sometimes have at least one local contact for the sword guy. Also friendly up with historical societies and museums. With the weather looking predictably uncertain, it looks like I will not be displaying this year. No doubt this decision will guarantee the weather will be excellent and I might do the knives and a small handful of swords but with the main cache at a remote distance, I would have to start this weekend. We did do a couple of soggy weekends but doing this solo is just too much if there is even a hint of showers. We did one Sunday indoors but the fiddlers were deafening. I will look forward to this event in another year. An edit on the fence here. 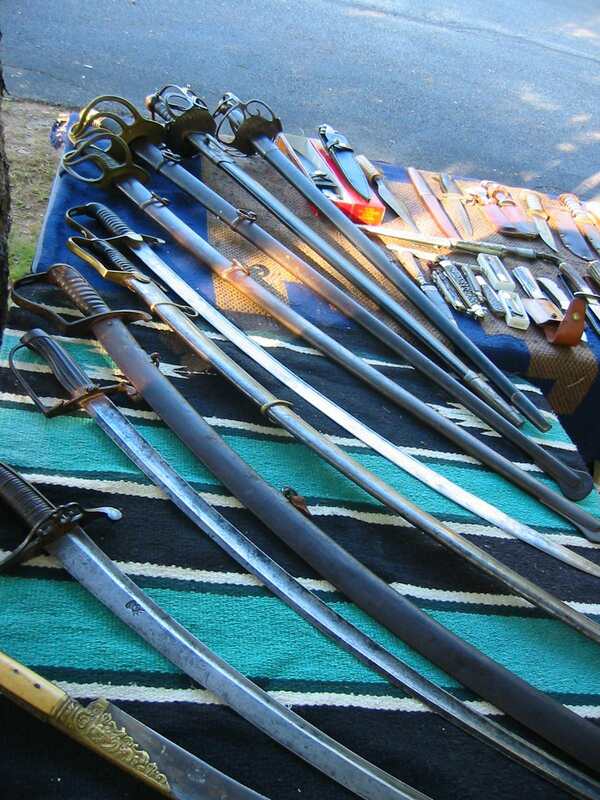 I may well be there with just a few swords and the knives but not with the eagles and other cavalry swords. Last minute update would be Friday night.